BBH and The Mill have completed another successful collaboration for Audi's new TV spot, 'Coins', the latest in a series of three new ads. 'Coins' opens with a hand that sets a single coin into a spin. As the coin naturally loses momentum and slows down it immediately regains energy and begins spinning again with renewed vigour. It goes on to power three more coins conveying the power-saving capabilities of Audi's new 'recuperation' system. The challenge was to design and direct a beautifully choreographed photo-real animation sequence. Directed by our Russell Tickner, we shot live action 35mm performance plates of the physical coin spinning in its environment with different frame rates, lenses and shutter angles. 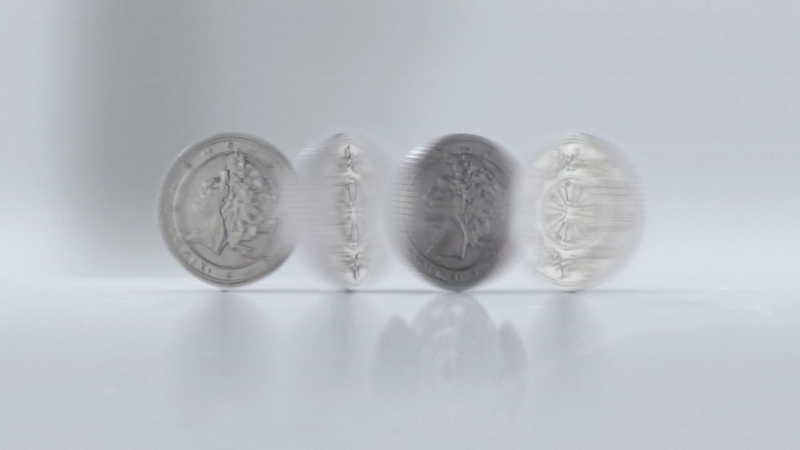 Our R&D team created a 3D code to allow the authentic animation of the coin, taking in to account its movement relative to its force. The hero coin was designed by us with live action footage and elements of it combined into the 3D animation using Shake, before being graded in Baselight.